The competition calls on social entrepreneurs with disruptive and scalable ideas with the potential to change the world. 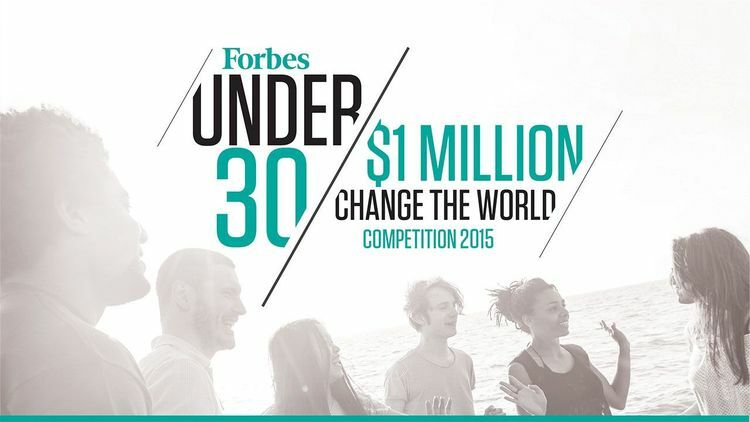 The Forbes Under 30 $1 Million Change the World Competition is the largest ever for young social entrepreneurs. Six finalists, selected from the complete pool of competitors, will receive a cash award of $100,000 USD. They will then compete on-stage at the Forbes Under 30 Summit in Philadelphia on October 6, 2015 in front of 2,000 world-class mentors and the best young entrepreneurs and game-changers in the world, as culled from the Forbes 30 Under 30 lists.